Day 3 for the Digital Dozen Negative Space week and again I've opted for a look that covers my tips and exposes the cuticle area. 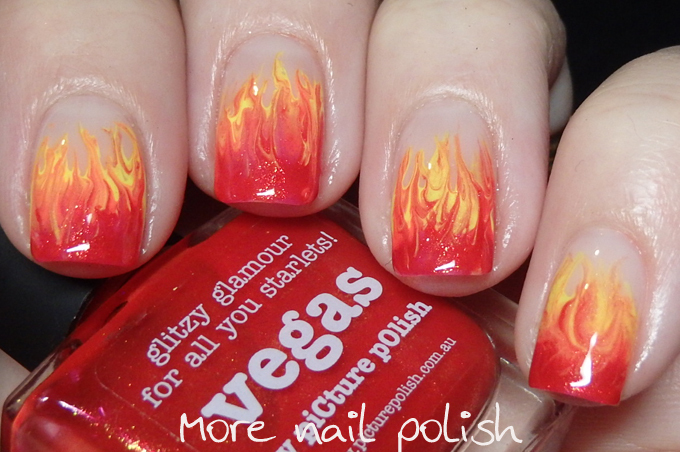 This look was so easy to create using just three polishes (four if you count the sheer base I put on). I used a red, orange and yellow polish and painted three generous stripes at the tip of my nail. I then pulled up squiggly drag lines to create the flame marble. 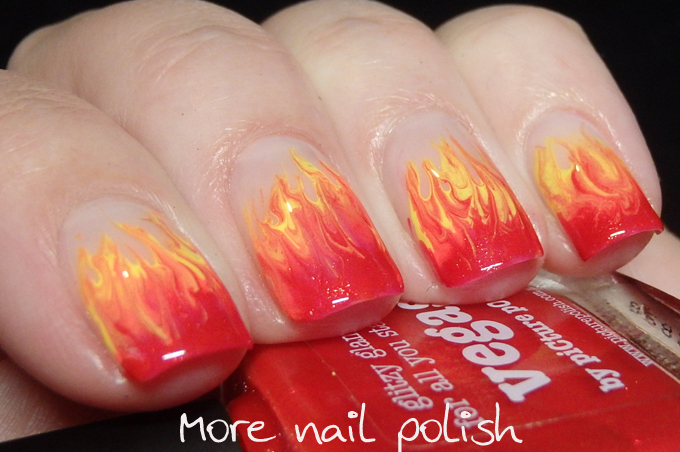 Such an easy design to create very striking flame nails. I actually think I filmed a nail when I did this, I must go look at my iphone and see if I have that video, and if so edit it up quick smart for Instagram. 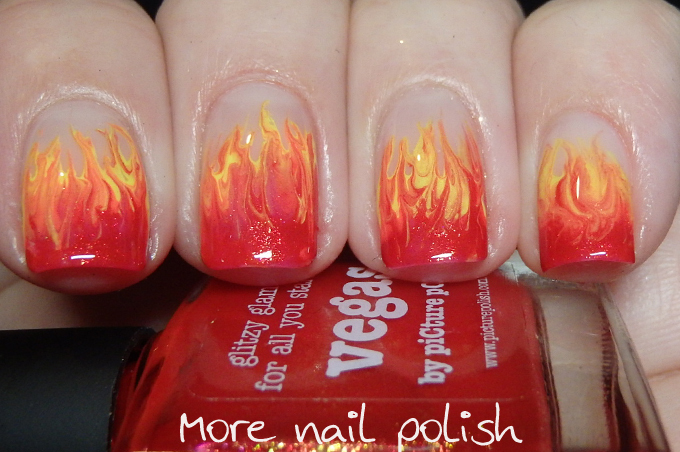 You did a really good job of making it look flamey! 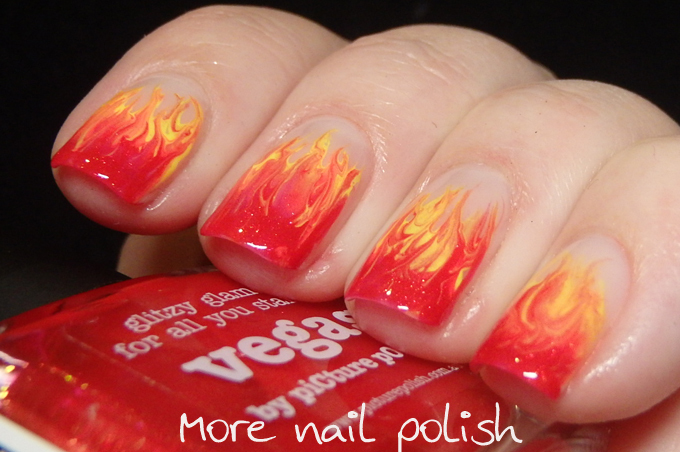 Ooooh, love the flames! What did you use to drag through the stripes? Oh my, these are absolutely gorgeous! I'm really digging that red polish!